Program prepares students from underrepresented groups to succeed in their pursuit of a Ph.D. in research. Vanessa Ruiz always dreamed of becoming a physician-scientist. But as the first college student from her family and with no work experience in medicine, she saw no clear path to M.D.-Ph.D. programs, which accept fewer than 650 students a year nationwide. And as a Hispanic woman, she felt like she had few role models. Fortunately, she gained that confidence through the Post-baccalaureate Research Education Program (PREP) at Mayo Clinic Graduate School of Biomedical Sciences. Intended to spur greater diversity in the nation’s biomedical workforce, the PREP prepares students from underrepresented groups to succeed in research. 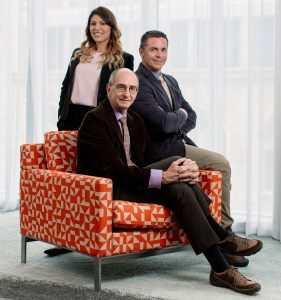 Counterclockwise: PREP student Vanessa Ruiz, Robert B. Jenkins, M.D., Ph.D., a pathologist, medical geneticist and co-principal investigator of Mayo Clinic Brain Cancer SPORE (front), and Aaron J. Johnson, Ph.D., who studies neuroimmunology and the underlying molecular mechanisms of how inflammatory cells promote disruption of the blood-brain barrier. During her three years as a PREP student, Ruiz has worked as an apprentice scientist in laboratories studying the genetics of brain cancers and how the immune system interacts with neurological disease. Ruiz recently received offers from four programs. Now that a dual degree lies ahead, she envisions a career in academic medicine, where she can treat patients, conduct research and teach the next generation of physicians and scientists. The program boosts academic competitiveness, helping the student land a spot in graduate school, complete a doctorate, and begin a career in research. Mayo reviews applications to find the students who show the greatest promise. They’re highly motivated but these are student who may have come to biomedical science late in their schooling, may need more lab experience, or may not have a family connection to research or higher education. “Being a woman from an underrepresented minority group not only has given me a drive to succeed but also inspires me to advocate for others like myself,” Ruiz says. 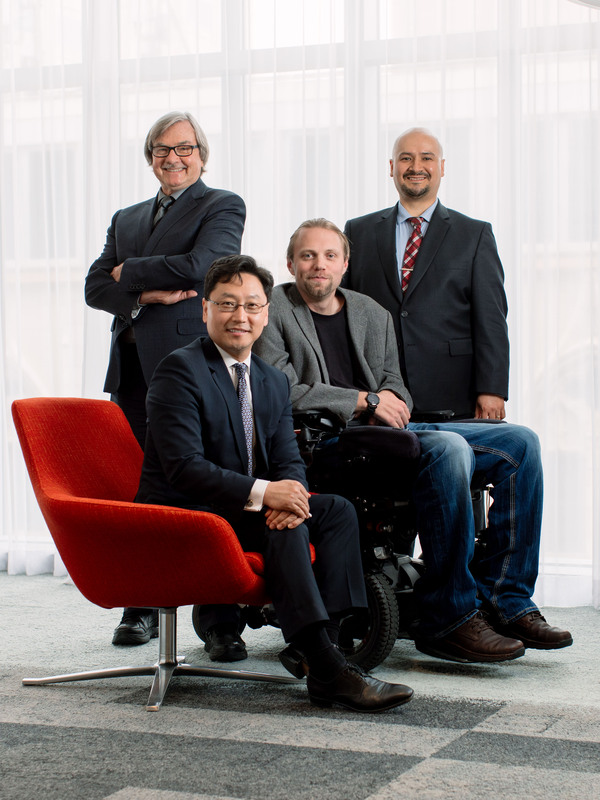 Peter Grahn’s PREP experience gave him confidence to pursue a career in biomedical research after a spinal cord injury and resulting permanent quadriplegia. During his year-long treatment and rehabilitation, he set a career goal of improving quality of life for those living with paralysis. After rehabilitation, Grahn attended Southwest Minnesota State University in Marshall, Minnesota, graduating in May 2011 with a double major in biology and chemistry. The next month he started PREP at Mayo Clinic. Although students with hearing impairment, vision impairment or a learning disability had attended PREP, Grahn was the first with a permanent physical disability. 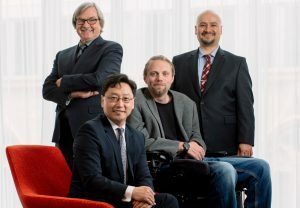 Mayo worked with him to ensure adequate parking options for his wheelchair-accessible vehicle, a smooth transition from his vehicle into laboratories and classrooms, and a customized workspace for maneuvering in a power wheelchair. 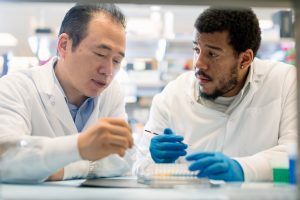 Over the next year, he worked in Mayo Clinic’s Regenerative Neurobiology Laboratory, which studies the cellular mechanisms underlying injury and repair in the nervous system, and Mayo’s Neural Engineering Laboratory, which is investigating neuromodulation approaches to restore function following spinal cord injury. “That program really launched me into this career,” Dr. Grahn says of PREP. And while Dr. Grahn ultimately benefited, so did Mayo and the research community at large. PREP debuted in 1997 with grants from the National Institute of General Medical Sciences to cultivate researchers who reflect the nation’s increasing diversity. Today, the National Institute funds PREP at more than 30 research-intensive graduate schools across the country. 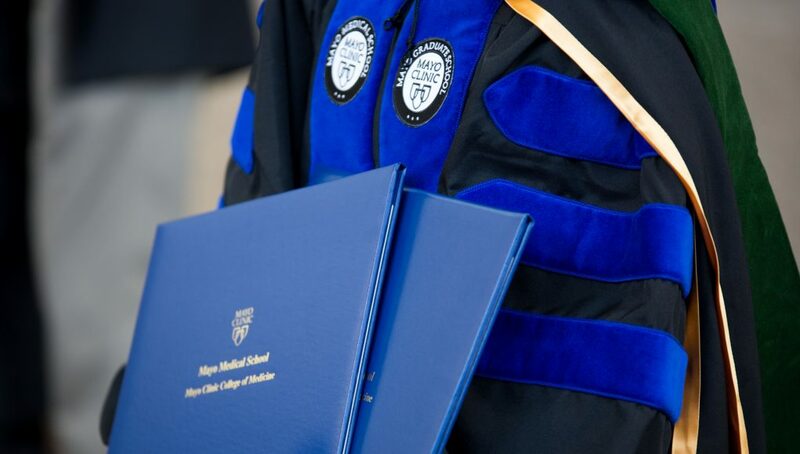 At Mayo, 75 percent of PREP participants advance to a Ph.D. or M.D.-Ph.D. program, and 95 percent of those students complete their doctorate. 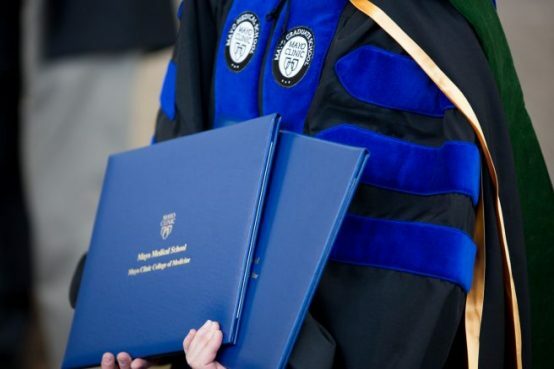 In comparison, 52 percent of all U.S. students entering a biomedical Ph.D. program receive their doctorate. Mayo has 16 PREP students in 2018, including nine under a National Institute grant and seven supported by other funding sources. Funding covers salary and benefits for PREP students. Mentoring. Mayo matches students to an established scientist whose research aligns with the student’s career interests. The student gets advice on research, lab techniques, graduate school, careers, collaboration, organizational culture and values, work-life balance and more from a leading authority. Specialized training. A variety of seminars, workshops and courses strengthen specific skills, such as grant writing, interviewing and preparation for standardized admissions tests for graduate school or medical school, and provide insights on issues that graduate students are likely to encounter. Support. PREP students gain inspiration from hearing Mayo faculty and graduate students from underrepresented groups tell their success stories. 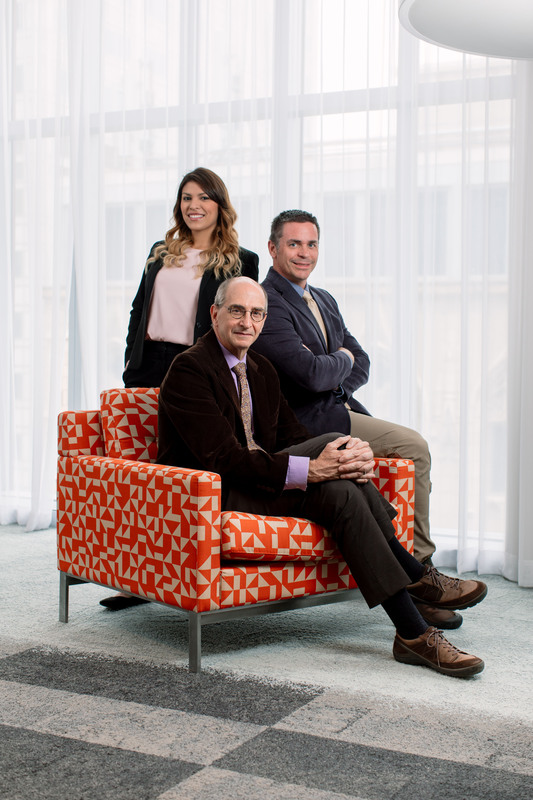 They get advice from mentors, other faculty and post-doctoral fellows. And they find a network of PREP students and alumni who understand what they think and feel about their venture into research. After completing a bachelor’s in microbiology from the University of Arizona in 2016, Lee Peyton, who is African-American, was considering going for a doctorate in biomedical research. Through PREP, he joined Mayo’s Neurobiology of Alcoholism and Drug Addiction Laboratory, which focuses on therapeutic targets for alcoholism and drug addiction using animal models. Now in his second year of PREP, Peyton recently was accepted into Mayo Clinic Graduate School of Biomedical Sciences, where he will pursue a Ph.D. in molecular pharmacology and experimental therapeutics.